1. If you have to eat two frogs, eat the ugliest one first. 2. If you have to eat a live frog at all, it doesn’t pay to sit and look at it for very long. What’s your frog today??? Mine is paperwork…Gulp! Thank you for starting my day with a smile. Thank heavens there are few frogs in my life right now. And, I just requested the book from my local library. Let me know what you think…I am really enjoying it. My sister brings her sewing machine outside on nice days. You might try that. No frogs today but I wonder what tomorrow will bring! Lucky you–you can quilt all day! Wouldn’t the frog prefer you to procraste? LOL! I guess I never looked at it from the frog’s point of view! Maybe I should kiss him instead? I think that’s a picture of a toad. 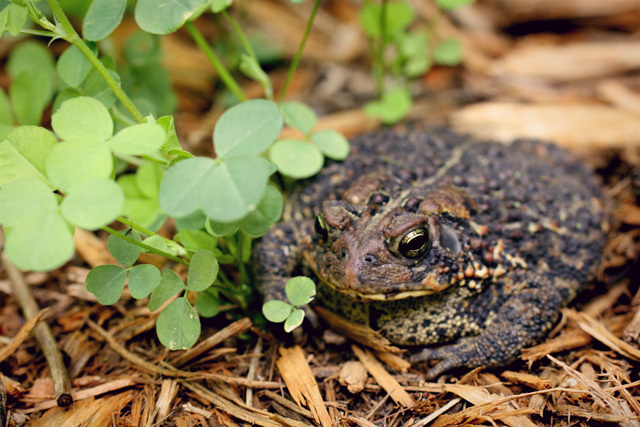 I never eat toads–might get warts on my tongue! Pingback: The Thing About Frogs | Eat That Frog!